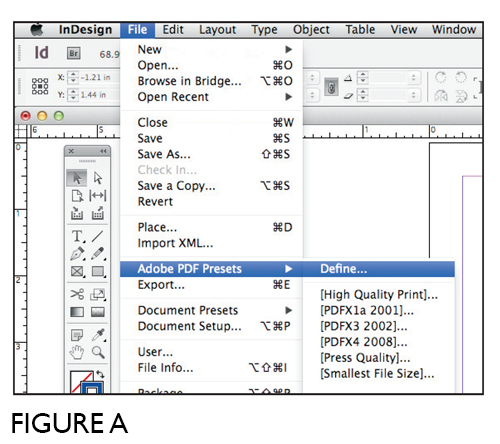 Our Guide to Creating a PRINT READY PDF from InDesign and Illustrator. Preset Name: GRAFIKA.joboptions. By using this preset you are saving your pdf to the same settings our prepress department uses for saving your native files to a pdf for production. Please share the GRAFIKA. joboptions preset and instruction sheet with your designers. Simply forward the zip file we have provided. • BLEEDS (Standard 1/8 inch bleed is required for printing on all 4 sides). • WIRE O Books (Files should be set up as single pages and bleed all 4 sides). • Books (Books that are perfect bound will require the native files, fonts and images). Below are the step-by-step screen shots and instructions on how to import the preset we have provided you. All screen captures were taken from Indesign. Instructions for illustrator vary slightly. In Illustrator the Adobe PDF Preset is under Edit. Select the Load button and navigate to select the preset. In Illustrator you will Import the GRAFIKA.joboptions preset. Select the preset from your folder and hit open Figure C. This will put the preset into your Adobe PDF Preset selection list. Figure C1 shows the preset added to your selection list highlighted in light blue. In Illustrator this step will be the same as above. 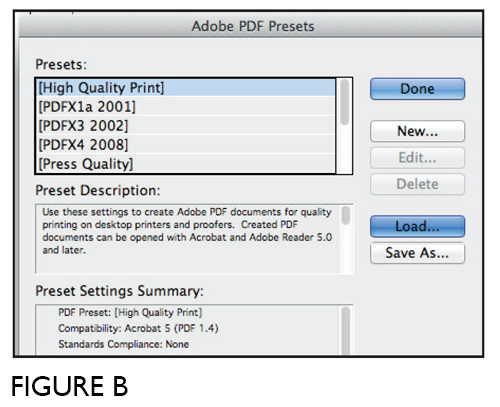 Go back up under file, select the Adobe PDF Presets > GRAFIKA. 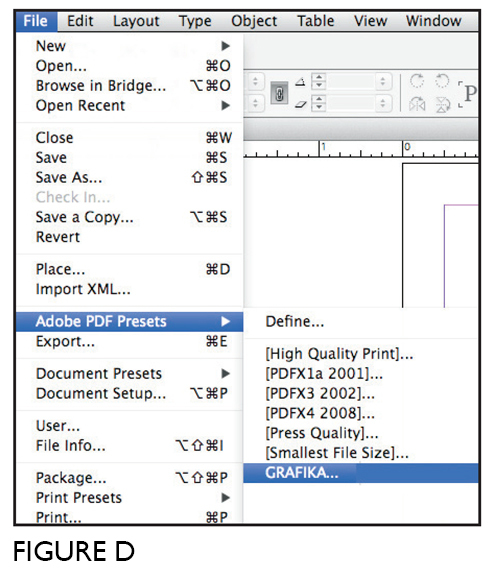 In Illustrator go back under Edit select the Adobe PDF Presets > GRAFIKA.